Fukui (福井市, Fukui-shi) is the capital city of Fukui Prefecture, Japan. The city is located in the north-central part of the prefecture on the coast of the Sea of Japan. As of May 1, 2017, the city has an estimated population of 265,408 and a population density of 500 persons per km². The total area is 536.17 km². Most of the population lives in a small central area; the city limits include rural plains, mountainous areas, and suburban sprawl along the Route 8 by-pass. 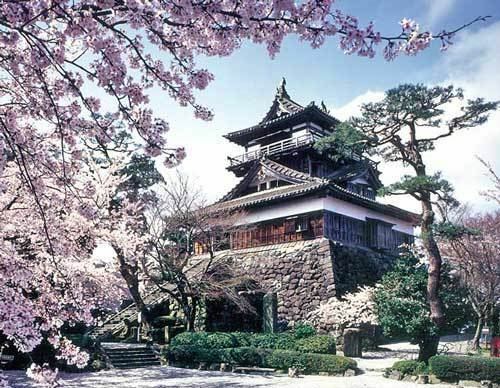 The city was incorporated under its present name on April 1, 1889, although it had been an important city in the region for at least 1000 years before that, serving as the capital of Echizen province during the Edo period (1603–1868). Fukui was devastated by Allied bombing in 1945. American heavy bombers leveled some 86% of the city during the United States sustained strategic carpet-bombing campaign against the Empire of Japan. Fukui was again devastated by a major earthquake in 1948. The city has regained its energy and vitality. Hence the city's official symbol, the phoenix. Susumu Fujita, the founder of Cyberagent, one of Japan's largest internet companies, is from the city of Sabae in Fukui. Fukui Station is the city's central railway station; it is a major stop on the JR West Hokuriku Main Line. It also serves as the terminus for the JR Etsumi-Hoku Line (Kuzuryū Line), the Fukui Railway Fukubu Line, and the Echizen Railway Mikuni Awara and Katsuyama Eiheiji lines. The Hokuriku Shinkansen is currently under construction and will ultimately extend from Tokyo via Nagano and Kanazawa when completed. Regular services are primarily provided by Keifuku Bus and Fukui Railway. The Hokuriku Expressway provides access through the city to the north and south. 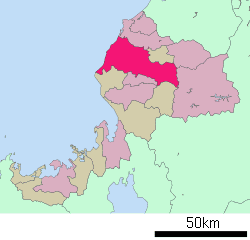 The Fukui and Fukui-Kita interchanges are located within the city limits. 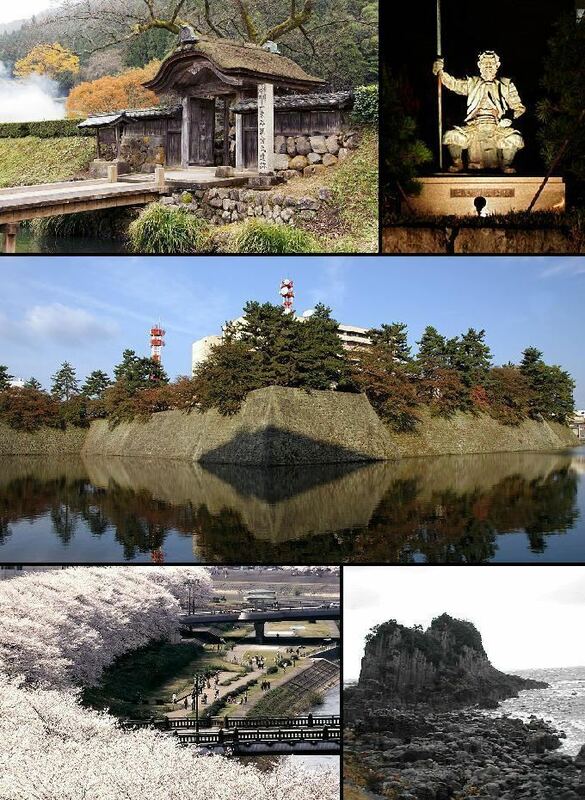 Fukui was an important military target in the war efforts against Japan during World War II. That was because Fukui was an important industrial and railroad center. 95% percent of known industries were in the target area of the attack; which produced aircraft parts, electrical equipment, machine motors, various metal products and textiles. 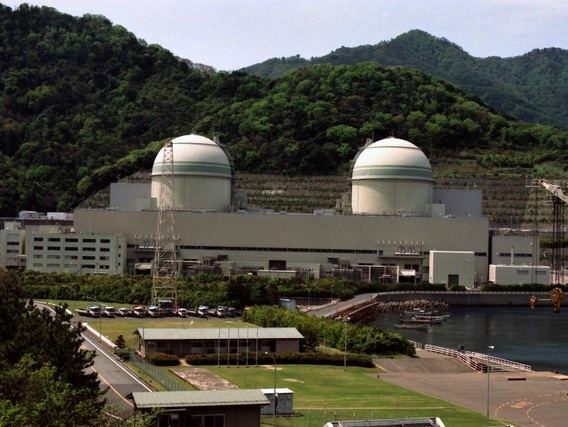 The attack was meant to destroy industries, disrupt rail communications, and decrease Japan’s recuperative potential. Bombing raids of the city took place on July 19, 1945. Of the city's 1.9 Sq. Miles at the time, 84.8% of Fukui was destroyed.